AidCurrent artist Erik Abel recently designed a series of posters commemorating the five most recent World Surf Reserves that Save the Waves has protected through their programs. 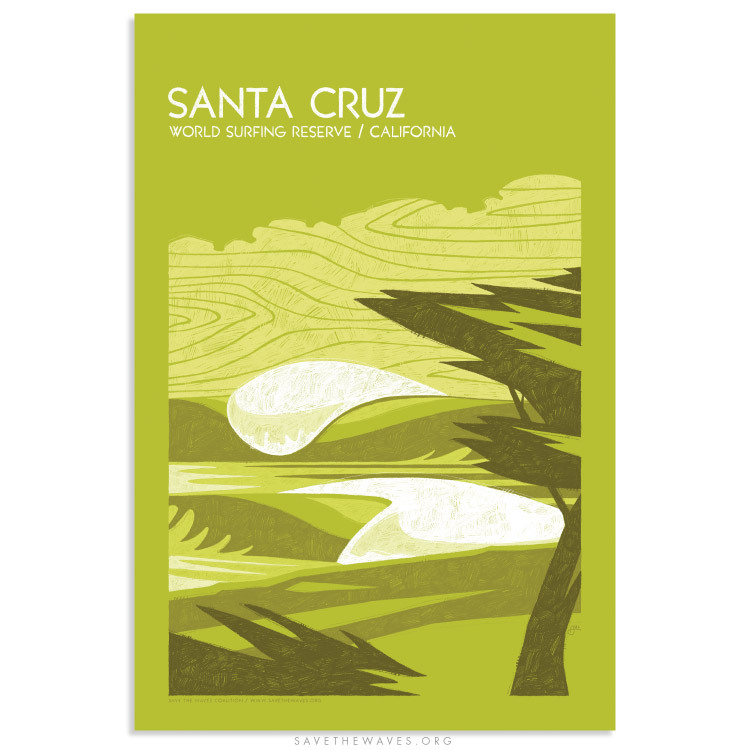 The regions they have worked to preserve are some of the most beautiful in the world. 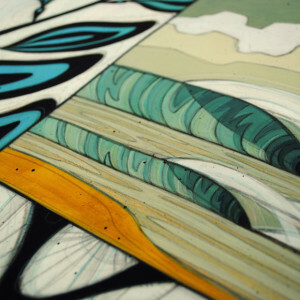 Add to their beauty a few quality waves and you have an recipe to inspire any artist worth their surf wax. 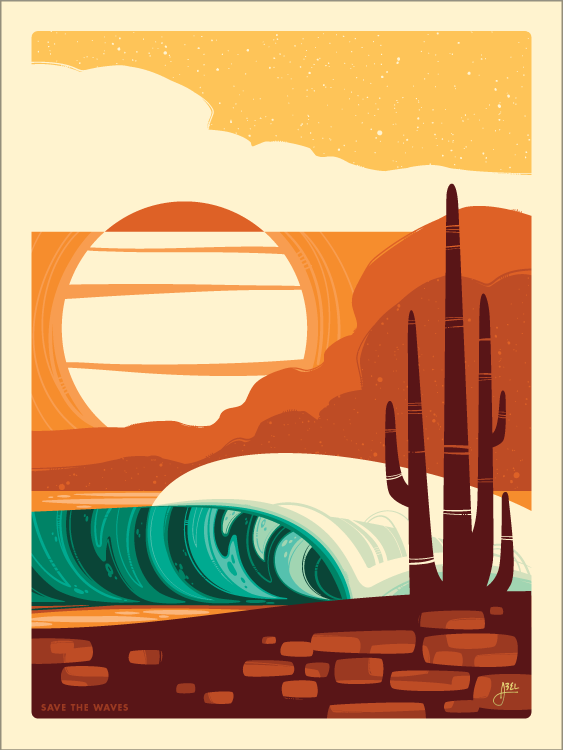 Erik Abel answered the call of inspiration and went above and beyond with this series of posters designed to bring attention to the work that Save the Waves is doing around the globe. 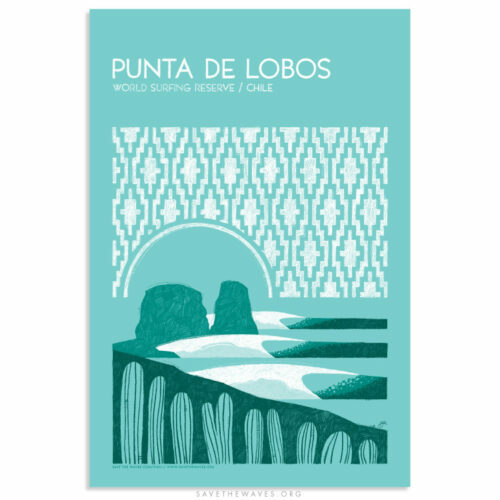 The fact that these posters are raising critical funds for Save the Waves to continue their work only makes the symbiosis that much more meaningful. 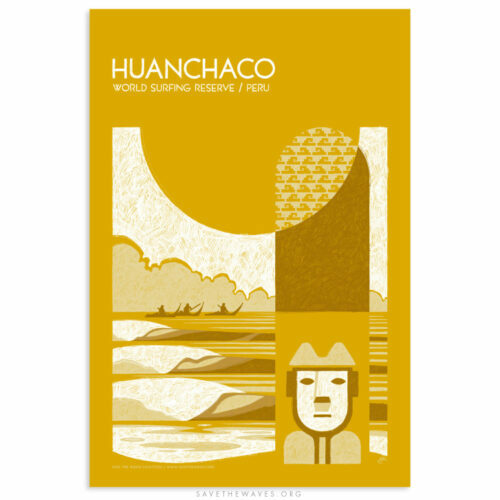 Each poster features an iconic symbol of the location, honoring both the break and the local culture. 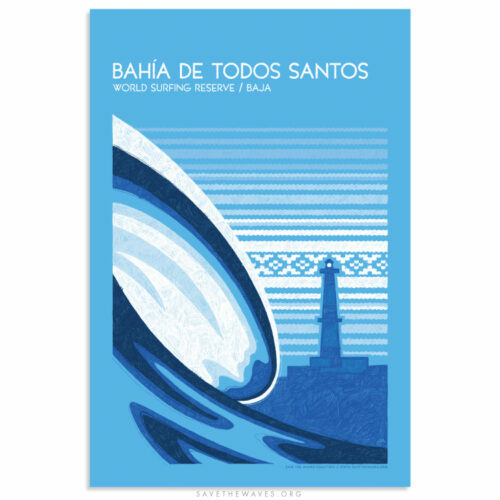 The posters are being sold here through Save the Waves to raise funds for their ongoing conservation work. 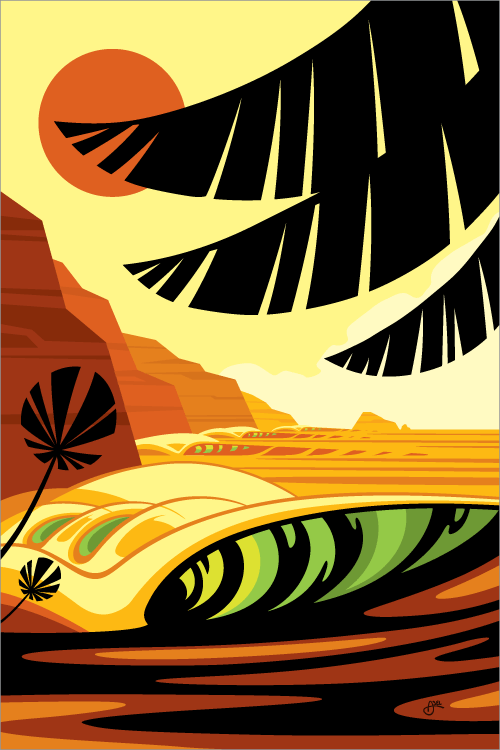 Abel has generously agreed to donate 75% of sales of these incredibly epic posters to Save the Waves. Get one while you can! 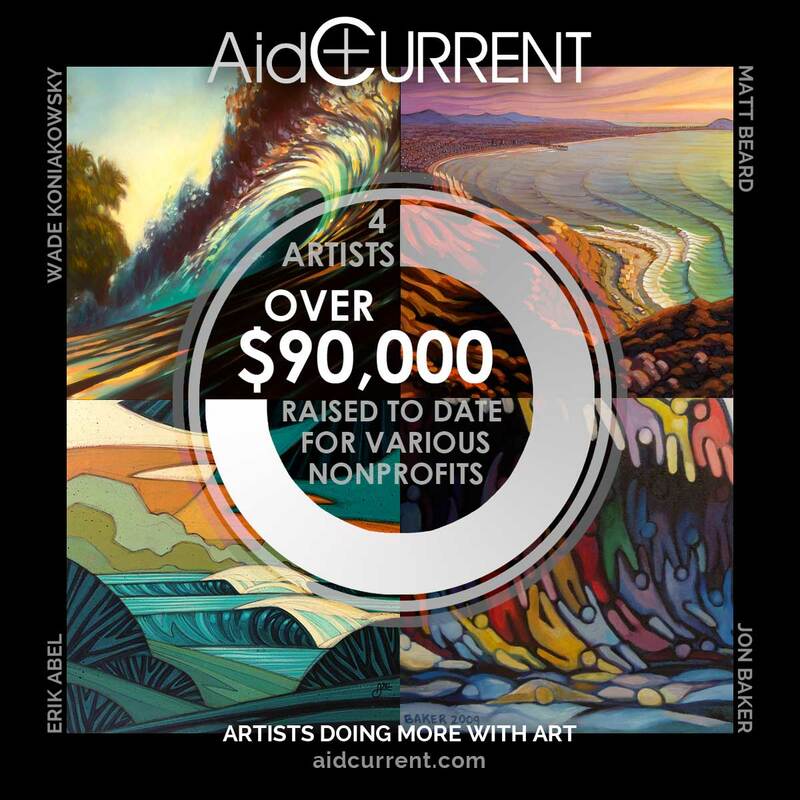 Since launching AidCurrent almost 3 years ago, just a handful of artists raised over $90,000 for various nonprofits and charities. We think that's pretty neat. 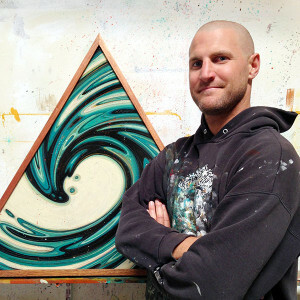 AidCurrent artist Erik Abel became a Save The Waves Artist Ambassador in 2015. 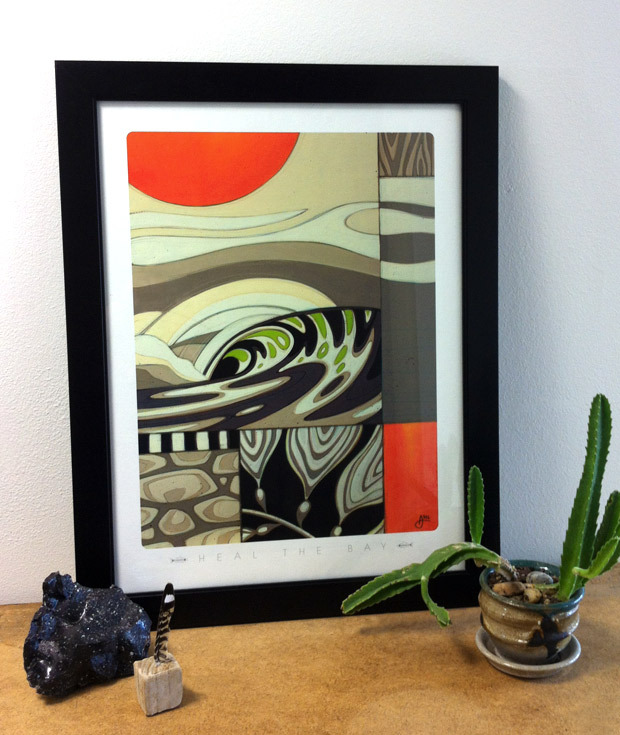 Abel designed the artwork for their annual fundraiser , the 2015 Life is A Wave Event as a donation and released limited edition prints of the event artwork which were sold through the Abel Arts website with 15% of sales benefiting STW. 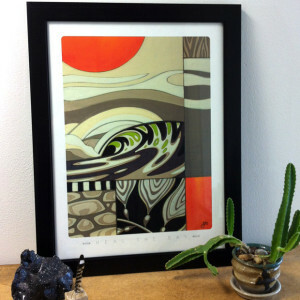 Abel donated a set of matted prints, a paper print, and a print on wood to the Life Is A Wave fundraiser for a 100% donation. 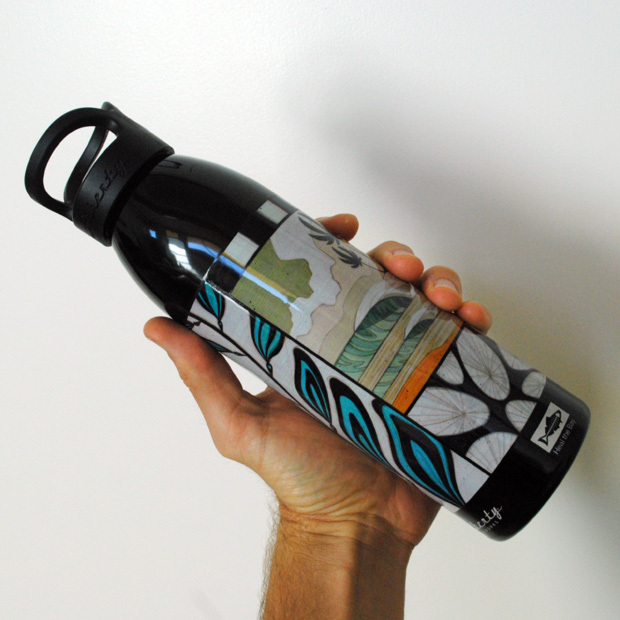 Through their nonprofit arm, the Abel Arts Collective partnered with Sustainable Coastlines HI and Pangea Seed to create a youth art and environmental education program. 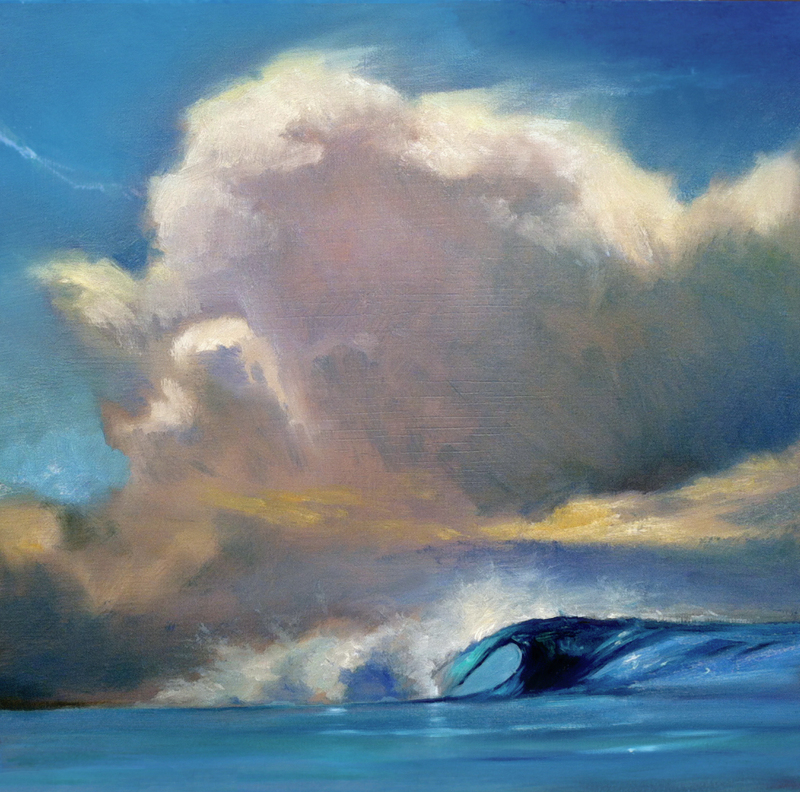 They held an art fundraiser at the Wyland Gallery in Haleiwa where Abel and partner artists donated 100% of sales from original artwork and prints to the project. Total donations were split between partner nonprofits and to cover expenses of the project, raising $500 each for Sustainable Coastlines HI and Pangea Seed. 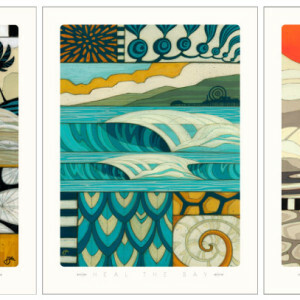 San Diego's Chapter of the Surfrider Foundation has been steadily recruiting artists to donate work for years for what has become an annual ritual of art for nonprofit activity that has at times involved most, if not all of our current roster of artists. 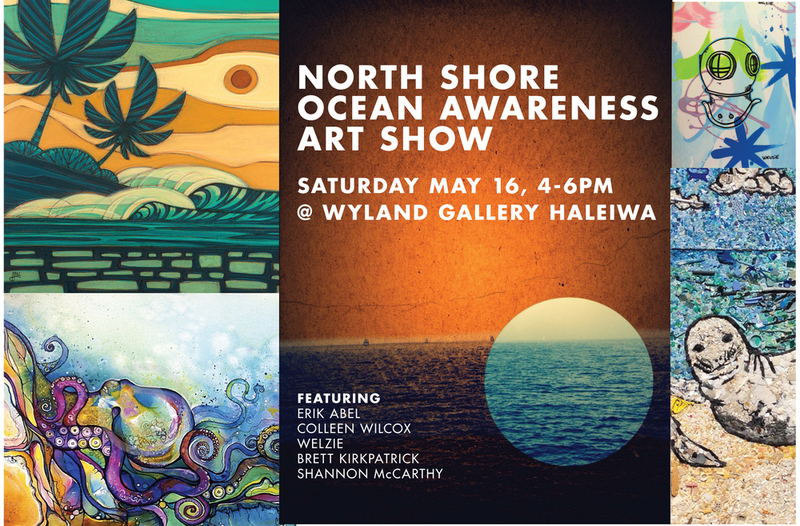 If artists giving of their talents to help make their world a better place is something of interest to you and you're in the area when these folks put on their next art gala, do yourself a favor and get your body in the room to enjoy it for yourself. You will be stoked. 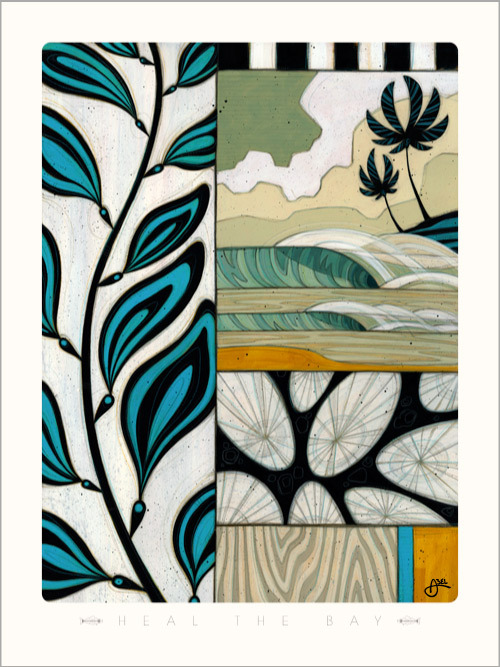 Erik Abel generously donated the two original pieces below to Surfrider San Diego's annual art gala in 2013 as well as a 24x36" canvas print for their 2015 gala held on May 8, 2015. 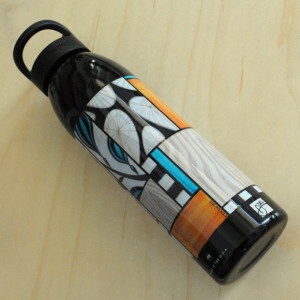 "Surfrider foundation is a group of surfers on a mission raise awareness about the growing problem of ocean pollution. Each year they have an Art Gala to raise funds for the San Diego Chapter and for many years I have donated art." 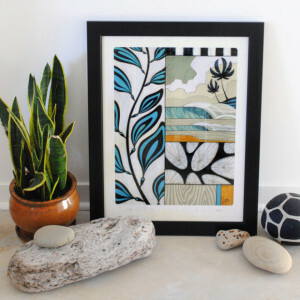 We're going to interupt our regular schedule of stories of how artists have been using their art to benefit others to step back and bring a bit more inspiration to the table. 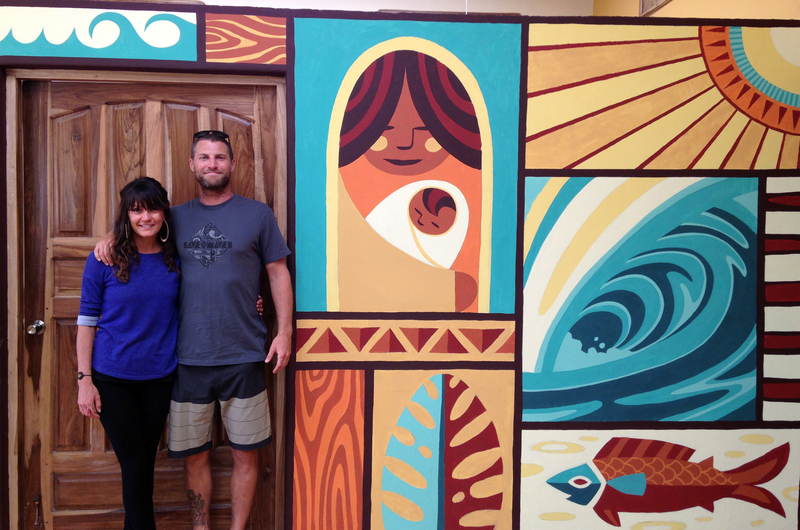 AidCurrent artist Erik Abel, along with his "office manager/bookkeeper/marketing director/wife" Nellie Abel have taken artistic altruism a step further than most of us. 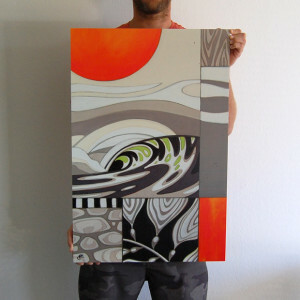 Yes, Erik donates a significant amount of work to organizations and projects that he believes in, but seeing the potential to do more than simply donate, in 2014 they took on the daunting task of forming a nonprofit arm of their own to enable them to weave giving & conscious activism into the very fabric of Erik's business model as a professional artist. 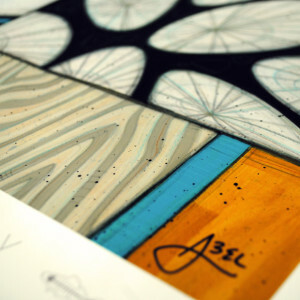 We're stoked to introduce to you the Abel Arts Collective. 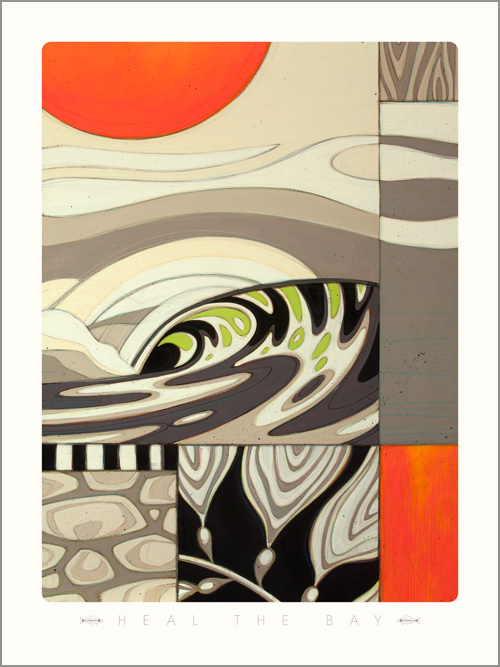 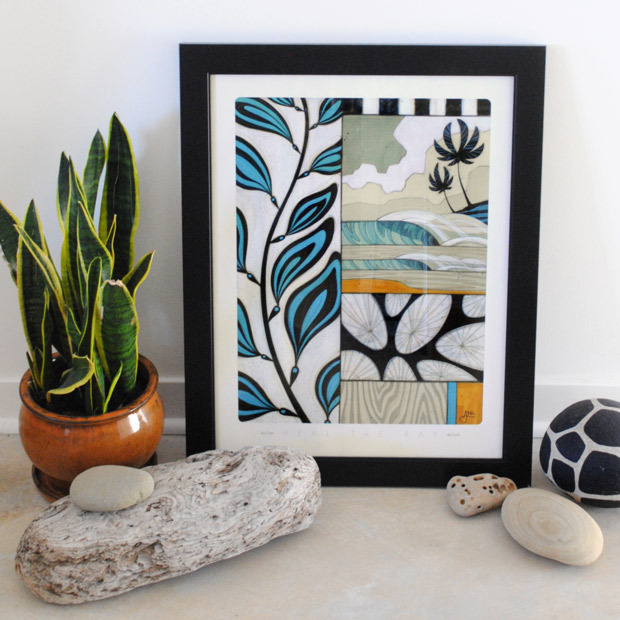 As the 2013 Partner Artist, Abel created three original paintings which were used to produce limited edition art prints, limited edition products, and event artwork for Heal the Bay's annual Bring Back the Beach Gala fundraiser event. 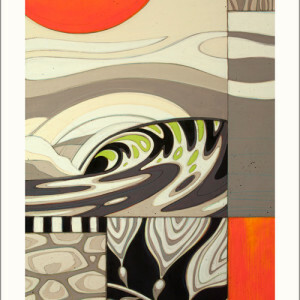 Two of the original paintings were sold for a 50% donation to Heal the Bay. 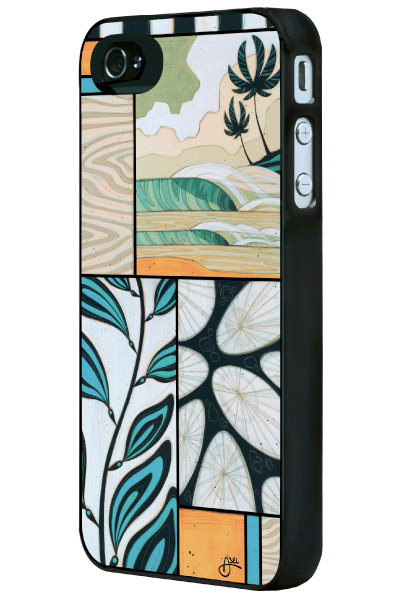 The third original, which was used as the design for the Gala, was auctioned off at the Gala for a 100% donation to Heal the Bay. 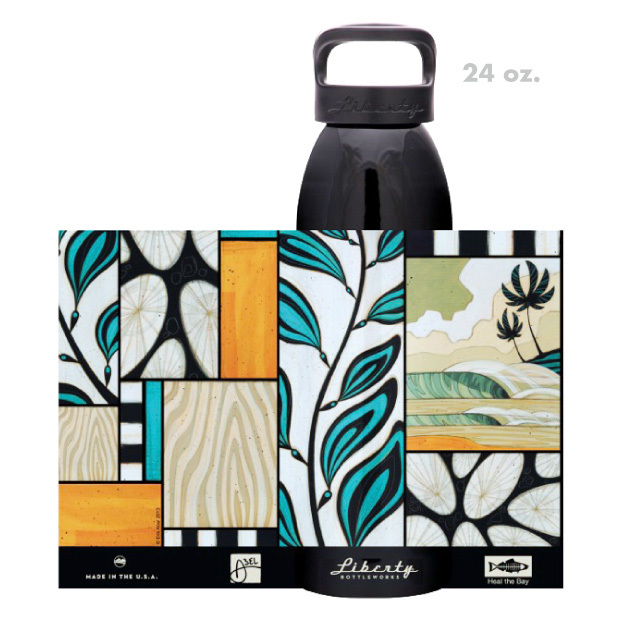 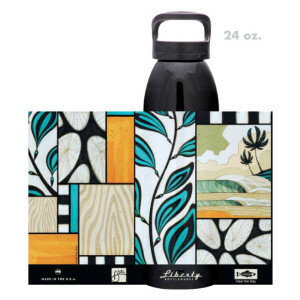 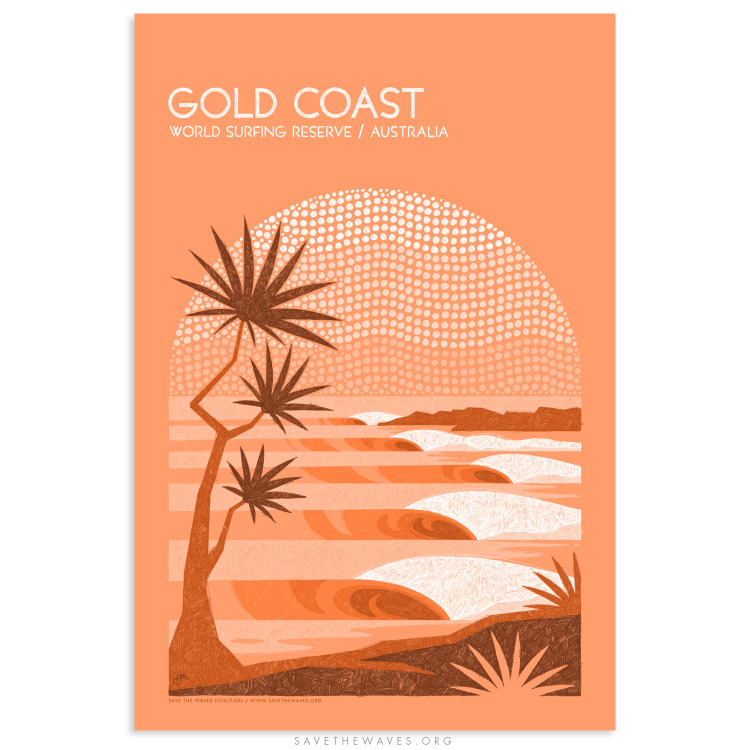 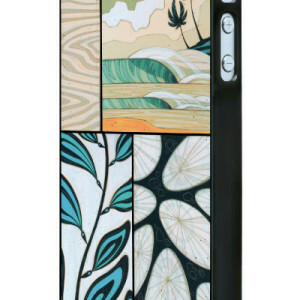 Limited edition paper prints, water bottles, and iPhone Cases featuring the artwork of all three designs were sold through Abel's website, with 15% of sales benefiting Heal the Bay. 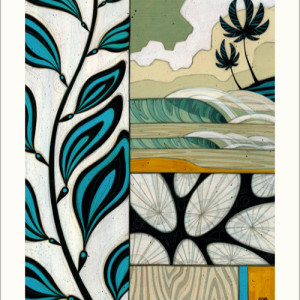 Limited edition prints on wood of each of the paintings were auctioned off at both the Gala and Heal the Bay's fundraiser in conjunction with WestEdge, with 50% of sales benefiting Heal the Bay.